(en) This selling Plugin is instead of donate. If you not read donate, please read about donate. 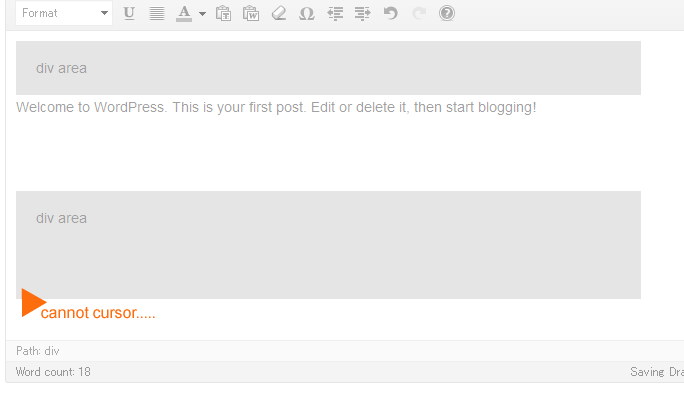 (en) This Plugin is to insert a new line in Post content. New line to begin line and end line. Not possible to insert new line outside of ‘DIV’ in TinyMCE default. It is good Plugin in this cases. 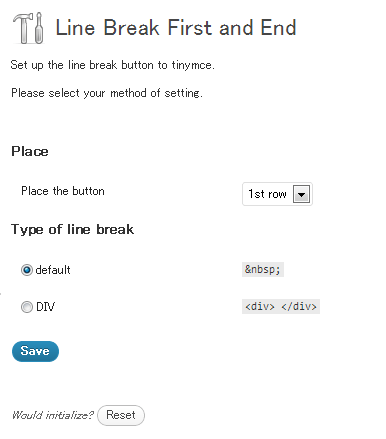 (en) Begin line or end line of DIV content. case1 : You can not insert a new line at begin line. You can not cursor to begin line. case2 : You can not insert a new line at end line. You can not cursor to end line. This Plugin is solve these problems. (en) You can use the insert new line button when install this Plugin. You can insert a new line by click to button. (en) Type of new line break, location of button, you can select freely. Added: Nonces field on form. (en) Please for before use to read. 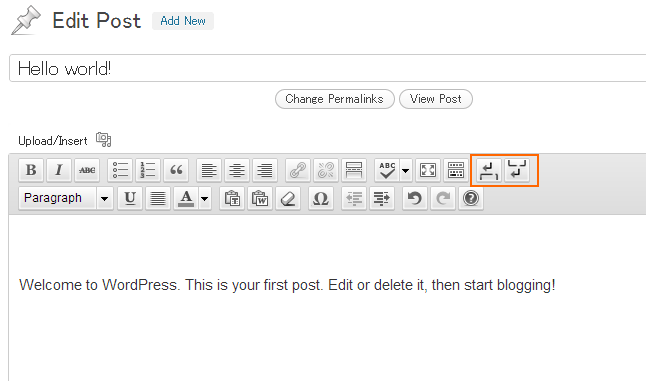 You can install to multiple WordPress. If you have any questions, bugs, please feel free to ask. Please purchase along the flow of the display by clicking on the “Pay with Paypal” below. Payment after finish, download URL of Plugin will be display. Complete. You will can download. (en) Responsible for everything that happens use this plugin, Please understand that to not inflicted to Plugin developer ‘gqevu6bsiz’. (en) Unzip the downloaded Plugin file, Upload the Plugin folder to the /wp-content/plugins/ directory. 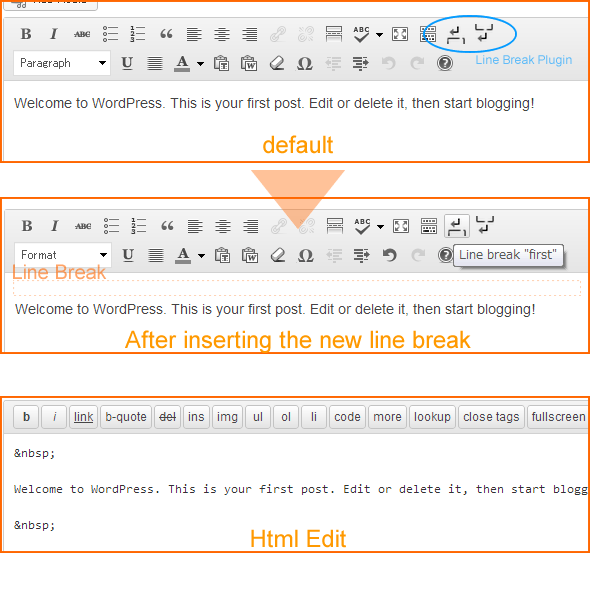 Activate the ‘Line Break First and End’ through the ‘Plugins’ menu in WordPress. 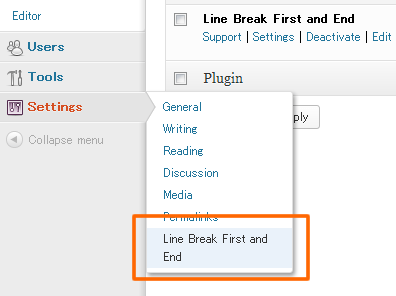 (en) You will find ‘Line break first and end’ menu in your WordPress admin panel. (en) Please settings your favorite. (en) You are able to use insert new line button. (en) I’m sorry, you can’t update check on 1.0ver. Please contact me if you want to update of Plugin on contact page. (en) This Plugin sale is instead of donate. Please choose favorite price. If you having problems with my plugins, please feel free to ask. I will do my best to provide support.